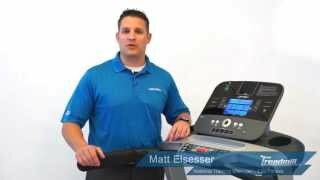 We took a look online and discovered 10 customer reviews of the Life Fitness F3 Treadmill with Go Console. Users scored this treadmill an incredible 98% (4.9 out of 5). Users were particularly pleased with the quiet motor, comfortable running deck, and easy storage. 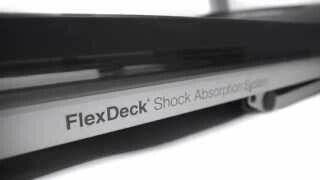 FlexDeck shock absorption: reduce joint stress by up to 30% with the FlexDeck absorption system. Heart rate monitoring: heart rate hand sensors and wireless monitoring for advanced heart rate monitoring. 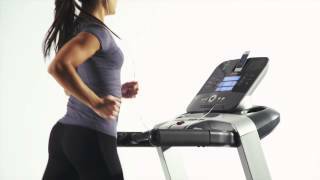 When purchasing the Life Fitness F3 Treadmill, you have the option of two console types – the Life Fitness F3 Treadmill with Track Connect or Go Console. This product is the Go Console version. Max User Weight Winner: The F3. It can accommodate 159kg, whereas the F1 is only tested up to 137 kg. Running Surface Winner: It’s a draw – they both have the same sized surface at 140 x 51 cm. Motor System Winner: The F3. It has a 3.0 HP motor, with a peak power of 6.0 HP. The F1 is built with a 2.5 HP continuous motor. Product Weight Winner: The F1. Due to its smaller motor, it is a couple of kilograms lighter than the F3 – 118 kg vs 120 kg. At the end of the day, the features of these treadmills are almost identical. Things such as the FlexDeck absorption, heart rate monitoring, Quick Start options are the same. The largest difference is in the motor system and the maximum user weight. So, if you’re considering the Life Fitness F1 or F3, you should now be informed enough to make the right choice! If you’re looking for the best Life Fitness F3 Treadmill price, then Fitness Savvy is the place to be. Whether you’re looking for sale prices, discount codes, or anything price related, you will discover it here. 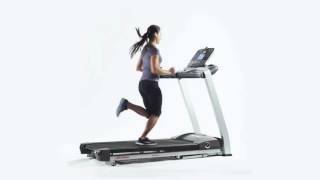 At the time of writing, this treadmill is available from eBay, Amazon, Fitness Superstore and Best Gym Equipment. With so many retailers to choose from, check back here to find the best price before you buy. In addition, here are some discount codes and vouchers which might be relevant to this item. These could help save you even more on your purchase! Some people like to see the owner’s manual before committing to a purchase. At Fitness Savvy, we totally understand that. So, in a bid to include everything you could possibly need to know, here is a link to the Life Fitness F3 Treadmill Manual PDF. maintenance advice such as how to replace switches etc.